kurimanzutto was first conceived in the late 1990s in New York by Mónica Manzutto, José Kuri and Gabriel Orozco. They imagined a gallery that could exist nomadically, adapting its form to the spaces needed by specific projects. It was Orozco who first proposed the idea to Mónica and José, pointing out the lack of galleries dedicated to contemporary art in Mexico as well as the lack of institutional support for the up-and-coming generation of young Mexican artists. It was evident that a support structure was needed that would allow these emerging artists to establish their careers within Mexico as well as abroad. After nearly a decade of working with internationally recognized galleries, Orozco had a particular clarity of vision for the project, which represented a departure from existing models. kurimanzutto decided from the beginning to focus on promoting its artists before acquiring a fixed exhibition space. The gallery´s limited budget might have been a hindrance, but instead proved a great source of innovation. Scarcity of resources and space was a motivating factor in the collaborative spirit that developed between the gallery and its artists. The gallery’s itinerant condition allowed them to organize shows in unconventional places, which in turn freed the artists up to experiment with different kinds of projects. kurimanzutto’s first exhibition, “Market Economy,” opened on August 21st, 1999, and remained open to the public for less than 24 hours. In a rented market booth, 13 of the gallery’s artists displayed pieces they created using materials on sale in the market itself. They sold the pieces at prices comparable to the other goods for sale such as kitchen utensils, food, and cleaning supplies. 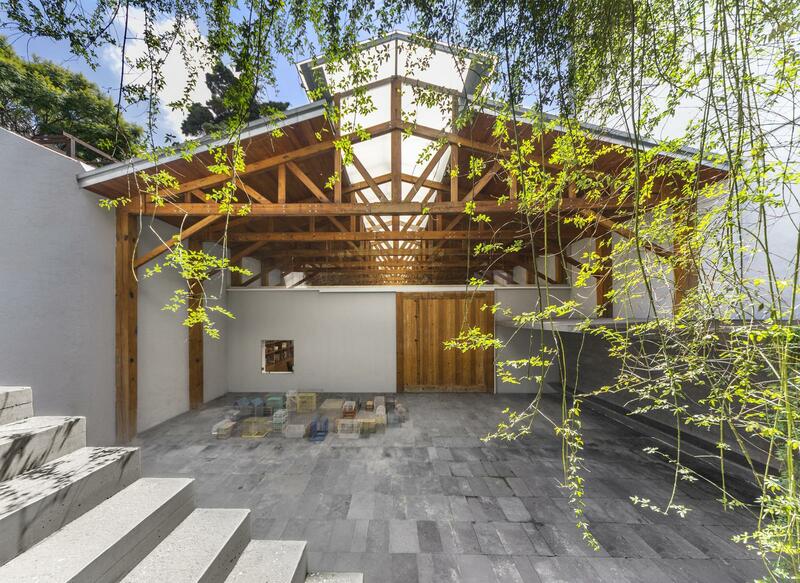 The flexibility built into kurimanzutto’s structure afforded them many collaborative opportunities: they traveled abroad and hosted international artists and curators in Mexico City to develop various projects. They sought to foment conversations between the international and the local, establishing an exchange of ideas that could transcend national borders. This critical and creative dialog has remained an integral part of their working process. In the early years, most of the artists participated in almost all of the gallery’s exhibitions. While each artist developed an individual practice, they also fed off each other’s work and the participatory spirit of the gallery. This hands-on dynamic gave the artists a sense of belonging and greatly shaped the gallery’s overall development. In the brief span of four years, kurimanzutto carried out 12 different projects in a variety of different locations: Mexico City’s International Airport, a supermarket parking lot, Los Manantiales restaurant in Xochimilco and the shipping container of a semi truck. By 2006, Monica and José’s apartment, which up to this point had functioned as both an office and storehouse, was no longer large enough to accommodate the gallery’s needs. They decided to buy a warehouse on Juan de la Barrera Street in the Condesa neighborhood. The new space served as an exhibition space, workshop, and studio – but most importantly, it became a new resource for the artists and the development of their projects. In 2008 kurimanzutto opened their current gallery space at 94 Rafael Rebollar Street. Built in 1949, the building had previously housed a lumberyard, and afterwards, an industrial bakery. The architect Alberto Kalach designed and oversaw the building’s renovation, converting the bulk of the structure into a large uninterrupted exhibition space, while conserving the original wooden ceiling trusses and ample natural light. The rest of the space was divided into offices, a library, a small storeroom, and a social area with a bar and kitchen. Today the gallery represents thirty-three national and international artists. Although kurimanzutto has a permanent address now, they continue to organize and support exhibitions in diverse cultural spaces. kurimanzutto is not only a space for viewing and contemplation – they also support criticism and research, welcoming the development of risky projects rarely seen in commercial galleries. kurimanzutto continues to operate in the same spirit as when they first began: focusing on the artists and prioritizing creative innovation above all else.